Several of our members distributed Christmas remembrances to our shut in members and others. Some 20 bags of Christmas items were distributed. We enjoyed the Nutmeg Pomona Christmas meeting and program as well as our own on December 19th. 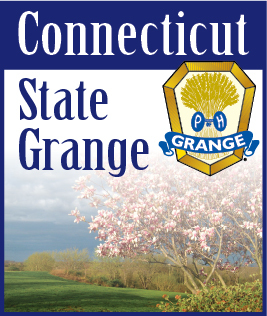 All of us at Cheshire Grange hoped you all enjoyed the Holidays, and now we look forward to the new year moving our Grange’s forward.